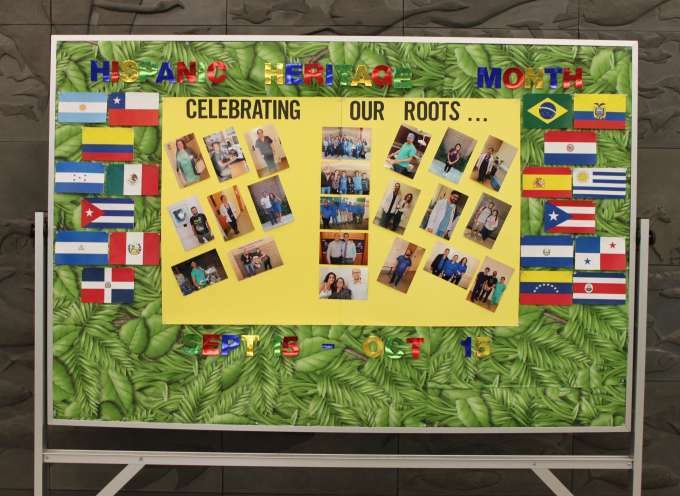 Each year, Americans observe National Hispanic Heritage Month from September 15 to October 15, by celebrating the histories, cultures and contributions of American citizens whose ancestors came from Spain, Mexico, the Caribbean and Central and South America. National Hispanic Heritage Month celebrates and recognizes the contributions Hispanic Americans have made to American society and culture and to honor five of our Central American neighbors who celebrate their independence in September. Wishing to pay special tribute to the Hispanic tradition, and having in mind the fact that our five Central American neighbors celebrate their Independence Day on the fifteenth of September and the Republic of Mexico on the sixteenth, the Congress by House Joint Resolution 1299, has requested the President to issue annually a proclamation designating the week including September 15 and 16 as National Hispanic Heritage Week. Between 1969 and 1988 Presidents Nixon, Ford, Carter and Reagan issued a series of annual proclamations that designated a week in September including September 15 and 16 as National Hispanic Heritage Week. These proclamations celebrated the contributions to America of men and women of Hispanic origin as well as recalling the work of the early Spanish explorers and settlers. In 1988 Congress passed Pub. L. 100-402 (PDF, 58KB) which amended Pub. L. 90-498 (PDF, 153 KB) and established National Hispanic Heritage Month. The President was again authorized and requested to issue an annual proclamation designating the “31-day period beginning September 15 and ending on October 15″ as National Hispanic Heritage Month. President George H.W. Bush issued the first proclamation, Presidential Proclamation 6021, for National Hispanic Heritage Month on September 14, 1989. Between 1990 and 2009 Presidents George H.W. Bush, Clinton, George W. Bush and Barack Obama have issued annual proclamations for National Hispanic Heritage Month. On September 14, 1994, President Clinton issued Presidential Proclamation 6719, which recognized the extraordinary contributions and culture of Hispanic Americans. Most recently on September 18, 2009, President Obama issued Presidential Proclamation 8417 (PDF) proclaiming National Hispanic Heritage Month for 2009 to celebrate and honor the accomplishments of Hispanic Americans. We look forward to the continued celebration. Feel free to reference a full listing of the month’s events hosted across UF by visiting www.facebook.com/UFHHM. Aurora Velasquez Echegaray, D.V.M., was one of the first women to study veterinary medicine at the Faculty of Veterinary Medicine and Husbandry of the National Autonomous University of Mexico (FMVZ-UNAM), which was the first veterinary school in the Americas. She was the second woman to receive a D.V.M. degree from that university and one of the first virologists in the area. 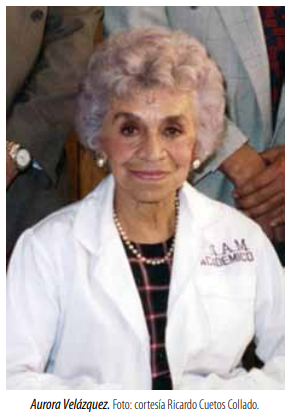 She was the founder of the department of microbiology and immunology of the FMVZ-UNAM. Velazquez was key in the mass production of the vaccine for foot and mouth disease and in the Mexican National Campaign for its complete eradication from the country (circa 1940’s). She dedicated more than 60 years of her life to the veterinary medical profession and its advancement in teaching, research and outreach. Leo Londoño, D.V.M., is a clinical assistant professor of emergency and critical care and director of the hemodialysis unit at University of Florida. Londoñ​o was born and raised in Colombia and Spanish is his native language. 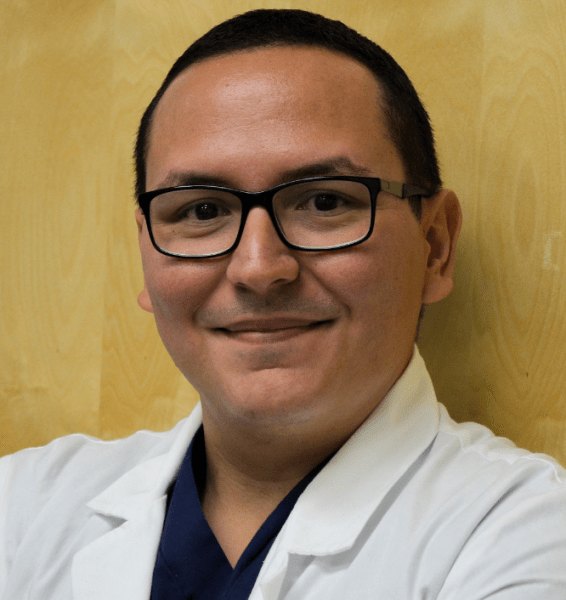 He received his DVM from University of Florida College of Veterinary Medicine in 2011 and completed his residency in emergency and critical care at UF in 2015 after completing a rotating internship at Hollywood Animal Hospital in South Florida. He received his certificate in dialysis from University of California, Davis School of Veterinary Medicine in 2017. He is the first Latino to receive Diplomate status in the American College of Emergency and Critical Care (ACVECC). 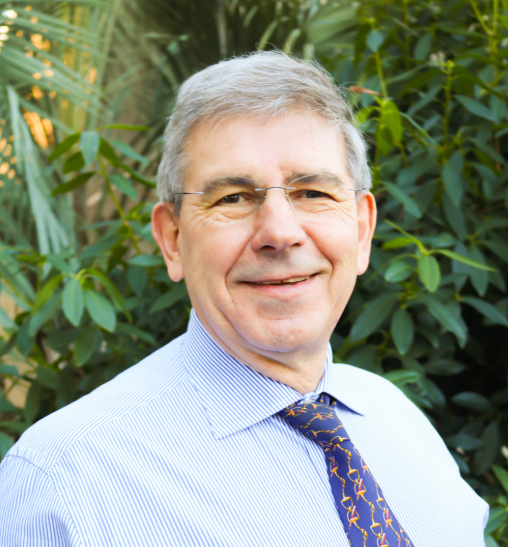 His research interests include renal and non-renal applications of extracorporeal blood purification techniques, endothelial and glycocalyx pathophysiology in the critically ill, and hospital-acquired acute kidney injury. He lectures internationally about acute kidney injury, hemodialysis and other critical-care related topics. His international lectures have a special focus in Latin American countries; in the past year, he has lectured in Argentina, Brazil, Chile, Colombia, Puerto Rico and Mexico. He also helped to open the first-ever dialysis unit in Chile in June 2017. Jesus Aramendi, D.V.M., was born and raised in Venezuela and earned his veterinary degree from the Universidad Francisco de Miranda. His first job was in Miami, following an internship that he completed there prior to his last year at university. Working as a veterinary technician at a small animal practice, he gained valuable on-the-job experience treating pets and learning the business of veterinary medicine. 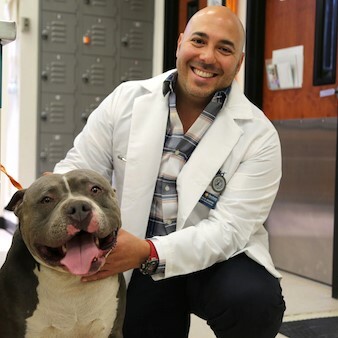 A few years into his career, Aramendi took his board certification examinations to get his license and begin practicing veterinary medicine in the state of Florida. He joined Banfield Pet Hospital in 2008, first working as an associate veterinarian in the Jacksonville area. He returned to Miami after six months in that position to become the lead veterinarian managing other associates, medical quality and client service. After a successful run as chief of staff at another, larger hospital, Aramendi was promoted in 2013 to medical director managing several hospitals and their respective staffs, a role in which he would have a bigger impact on the quality of medical care by leading people and developing teams to be more productive and efficient. In 2016, Aramendi was promoted again to regional medical director, with 10 markets and 160 hospitals under his direct supervision. He is in charge of assuring that each of these hospitals meets Banfield Pet Hospital standards for doctor engagement and quality of care and service to their pet patients. 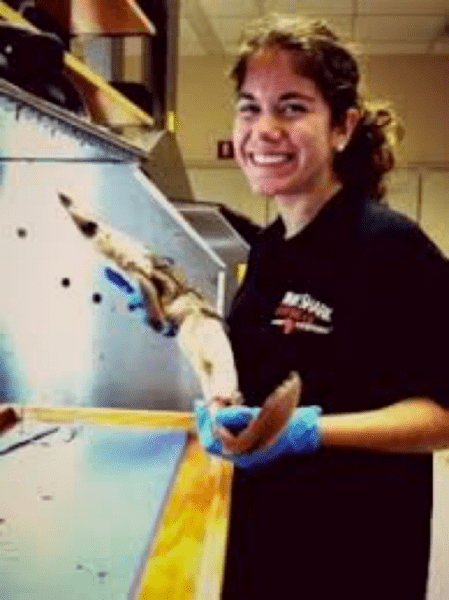 A native Floridian, Marquez received her bachelor’s degree in marine ecology and conservation from New College of Florida and her master’s degree in marine biology from Victoria University in Wellington, New Zealand. Inspired by Discovery Channel’s Shark Week, she knew that she wanted to research marine biology and more specifically sharks and their relatives. She spends her days studying their habitat, migratory behavior and the way in which humans affect them. She also founded The Fins United Initiative (TFUI), which is a program that aims to educate school-aged children about sharks through learning techniques that allow non-experts to comprehend the role these particular animals play in our oceans and the threats they face. Marquez, who is half Puerto Rican and half Mexican, saw the lack of representation in marine science when she was growing up. She wants to shine a spotlight on not only marine biology but also STEM fields in general so that young Latinas can see these fields as viable careers. Carlos Augusto Risco, D.V.M., is a member of the UF College of Veterinary Medicine’s charter class of 1980. Upon graduation, he spent a decade in a private dairy farm practice in California before returning to his Alma Mater as a faculty member in 1990. He is a Diplomate in the American College of Theriogenologists. Risco, was born in Cuba and is bilingual. His father, a human cardiologist, brought his family to the United States to escape the rule of Fidel Castro, and to provide his children with the opportunity to get an education and a more secure future. Risco became a global traveler, especially to Latin America, in order to share his knowledge in dairy cattle production. He spent 27 years on the UFCVM faculty, serving as chair of the college’s department of large animal clinical sciences from 2013-2018, when he left UF to become dean of the Oklahoma State University College of Veterinary Medicine. Juan C. Samper, D.V.M., Ph.D., graduated from veterinary school from Universidad Nacional de Colombia in 1982. He earned his Ph.D. and completed a residency in theriogenology from University of Minnesota School of Veterinary Medicine. 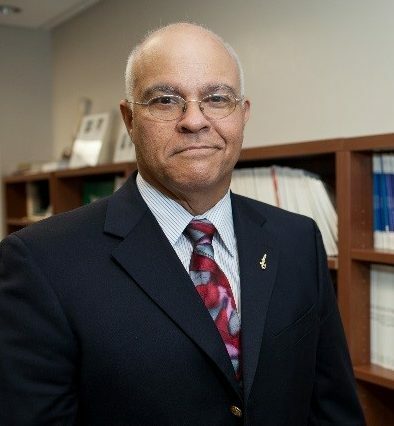 He is a Diplomate in the American College of Theriogenologists and has been on the faculty of the Ontario Veterinary College, Kansas State University, Ross University School of Veterinary Medicine and most recently at the University of Florida College of Veterinary Medicine where he also serves as the Associate Dean for Academic and Student Affairs. In addition to his academic career, he was an equine practice owner in Vancouver, British Columbia, for over 20 years as a solo practitioner and later in a group setting. Dr. Samper has consulted extensively in North and South America and in Europe. In addition to several scientific articles, he is the editor of Equine Breeding Management and Artificial Insemination and co-editor of Current Therapy in Equine Reproduction. He is an active member of the American Association of Equine Practitioners and is past-president of the Society for Theriogenology and North East Association of Equine Practitioners. Dr. Samper served as a consultant for Sexing Technologies and as chairman of the International Symposium on Stallion Reproduction, as well as on the board of directors of the American College of Theriogenologists.